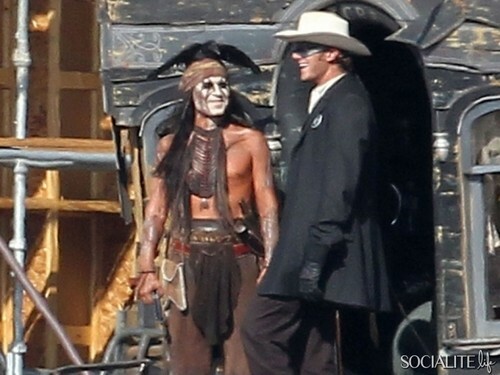 Johnny Depp as Tonto ("The Lone Ranger"). Johnny Depp as Tonto in "The Lone Ranger" film. Wallpaper and background images in the Johnny Depp club tagged: johnny depp actor tonto the lone ranger. This Johnny Depp photo might contain street, city scene, urban setting, and business suit.